Eying the Top Spot: Asians suitors for ABB Power Grids Business? 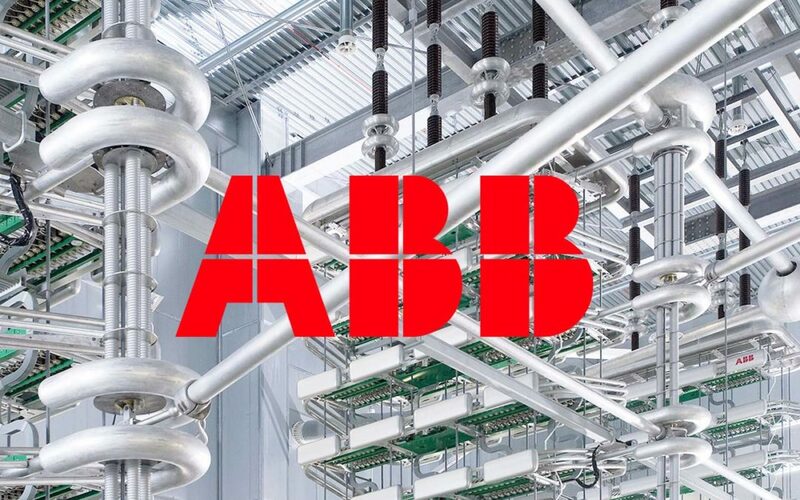 News is circulating that ABB is in negotiations with three Asian manufacturers, Mitsubishi Electric, Hitachi Power Systems & State Grid Corporation of China (SGCC), to sell its Power Grids division. For years now, ABB has dominated the power transmission and distribution components landscape having a market leading position in countries across the globe. This business of ABB is the second biggest by revenue, bringing in $10B in 2017 (~28% of company total), even though the actual orders declined in 2017 to $9.2B from $10.5B last year. A potential reason ABB would sell this prolific division is the challenging EBITA performance of ~10%, which is the lowest division of all and has shareholder concern given also the slow growth in overall transmission and distribution market this division operates in. End-customers for these products and systems are electric utilities and a myriad of industrial users. The sales channels are fairly straightforward; direct from equipment manufacturers, through an EPC (engineering, procurement, construction) company, or through distributors. The latter option is especially true in the case of small, more commoditized products like distribution transformers and power quality equipment (filters and reactors). ABB has a very strong position, having established relations with many power utilities, EPCs, and distributors, around the world. ABB is in the top 3 position, across all regions, specifically in the biggest T&D markets around the world including USA, India, China, Indonesia etc. ABB’s revenue is also well distributed among different regions with around 60% coming from Europe and Americas, and the remaining 40% resulting from sales in APAC and Middle-East/Africa, an indicator of a strong relations with customers in all these regions. From an application perspective, ABB’s Power Grids division is getting most of its revenue from sales to utilities at around 73% of the group’s revenue with another 20% to heavy industries, in line with the industry average. Keeping this view of market and ABB’s positioning in mind, we can analyze what are the potential benefits the three suitors are aiming to achieve with this acquisition. All three of the companies themselves have existing portfolio, some of it overlapping with ABB, of power products targeting the transmission and distribution market. However, their global positioning is not as strong as ABB Power Grids. What are potential benefits these companies achieve from acquiring ABB’s division? Mitsubishi Electric Power Systems is active in Asia Pacific and North America. Over the last few years, it has been increasing its presence in Europe and MEA regions as well through its regional subsidiaries. This potential acquisition of ABB Power Grids division will help them two-fold. One, to enhance their existing product portfolio to include more “digital” products in the line-up like DERMS and Enterprise Software. Two, for strengthening their global position using ABB’s established sales channel in countries across the globe, especially for a stronger position in EMEA region. These combined would make Mitsubishi Electric Power Systems the largest supplier of T&D equipment in the global market. However, Hitachi Power Systems on a global scale, does not offer as complete of a product portfolio for transmission & distribution applications as Mitsubishi Electric Power Systems. At the moment, Hitachi Power Systems focuses only on power transmission equipment and not on power distribution. With this acquisition, Hitachi would jump multiple stages up in becoming the company with the largest share of the T&D equipment market, competing on an equal footing with the likes of Siemens and GE. SGCC is the largest utility company in the world and the second largest company globally in terms of revenue. Most of the T&D equipment SGCC provides is manufactured and sold by one of its various subsidiaries working under the umbrella of SGCC. 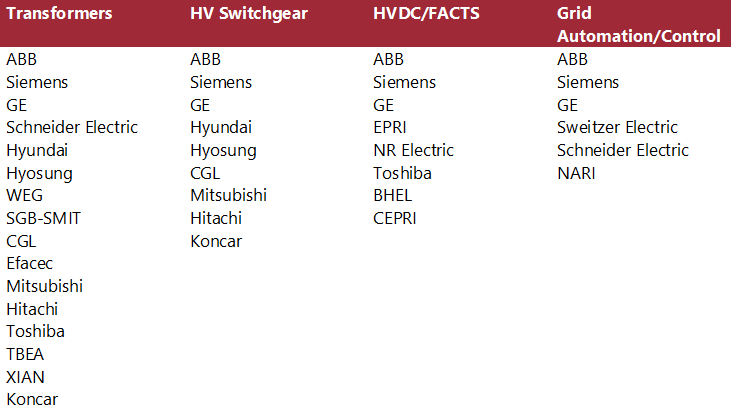 These subsidiaries manufacture all the major T&D products, almost overlapping ABB’s complete portfolio. Outside of China, products from Chinese manufacturers are still not considered premium quality compared to manufacturers like Siemens and ABB. The major markets being served by SGCC subsidiaries are emerging markets which are either price sensitive or require financing to come with their investment. A stake in ABB Power Grids would mean a confirmation of premium product quality and a strong presence in western markets through ABB’s established network of customers. Despite the rumors of negotiations, the sale of the division is not officially announced yet, with no comments from ABB on the topic. Regardless, even if the sale is in negotiation stage, it could take quite some time before it goes through, or it could not go through at all. Regulators in Europe and Switzerland would be very cautious, and have reservations on this deal, much like the case was with GE’s acquisition of Alstom’s power division. Regardless, if rumors of Asian manufacturers acquiring ABB’s Power Grid division are true, whosoever acquires this business, will certainly become strong in all four criteria.